Please take a few minutes to share your Chamber experience in this last year. 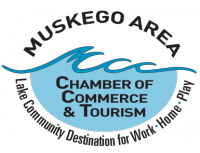 Take this survey on the Muskego Chamber of Commerce and it's value. We appreciate knowing more on how we can help you going forward in 2013. This will only take minutes of your time and you will also be entered into a drawing for some great prizes. We so appreciate the feed back.